David Le/Gloucester Daily Times. 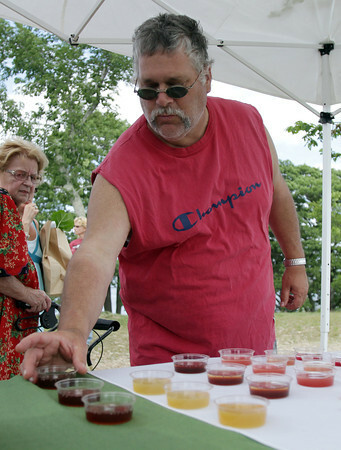 Barry Cloutman, of Gloucester, tries a sample of Flavrz, a liquid drink mix, at the opening of the Cape Ann Farmer's Market at Stage Fort Park in Gloucester on Thursday afternoon. 6/30/11.